Senior commander says Iran will provide military advisers to Syria for as long as necessary. Iran will provide military advisers to Syria for as long as necessary in support of President Bashar Al-Assad's forces, a senior commander in the Iranian Revolutionary Guards said Tuesday, according to Reuters. "The advisory help isn't only in the field of planning but also on techniques and tactics," the Fars news agency quoted Mohammad Pakpour, head of the Revolutionary Guard ground forces, as saying. "And because of this the forces have to be present on the battlefield. We will continue our advisory help as long as they (the Syrians) need it," he stressed. Iran is a strong supporter of Assad and has been providing him with both financial aid and military advisors against a range of opposing forces. Iran has continuously rejected allegations that it has any fighters on the ground in Syria, claiming it only has “military advisors” in the war-torn country, though that began to change as Iranian casualties in Syria began to rise. An Iranian official said late last year that more than 1,000 Iranians had been killed in the Syrian civil war, according to Reuters. These include a handful of senior commanders of the Revolutionary Guards, according to Iranian media reports. 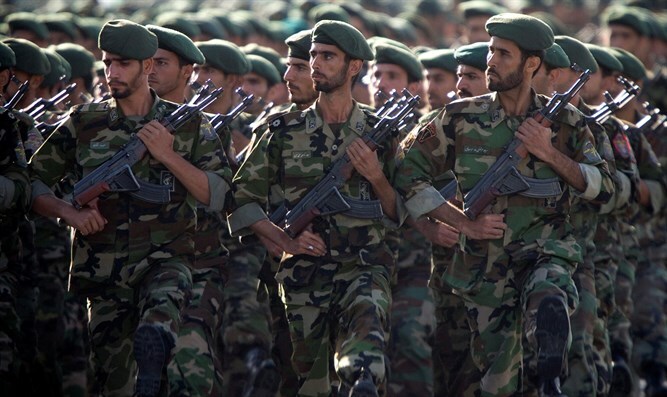 Pakpour said on Tuesday the Revolutionary Guards' ground forces were in Syria to help the Quds Force, the branch of the Guards responsible for operations outside of Iran's own borders. "There is very close coordination between the Syrian army and the Revolutionary Guards advisers," he was quoted as saying.